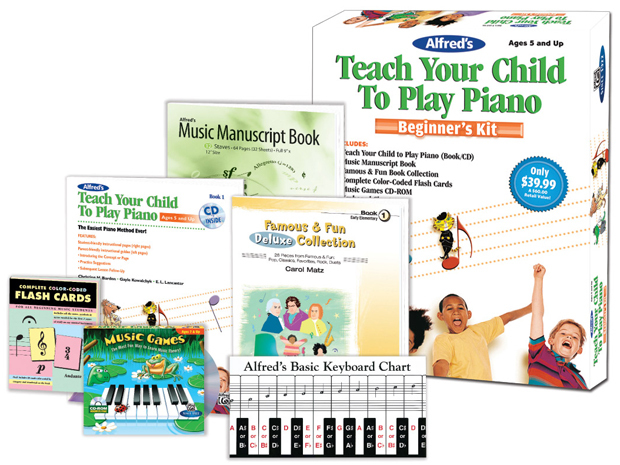 * Teach Your Child to Play Piano is designed for parents as well as for families who are a part of the home school movement and wish to include piano in the curriculum. * Complete Color-Coded Flash Cards includes all notes, symbols and terms needed for the first two years of study on any musical instrument. * Cards are color-coded by category and are numbered on the back. 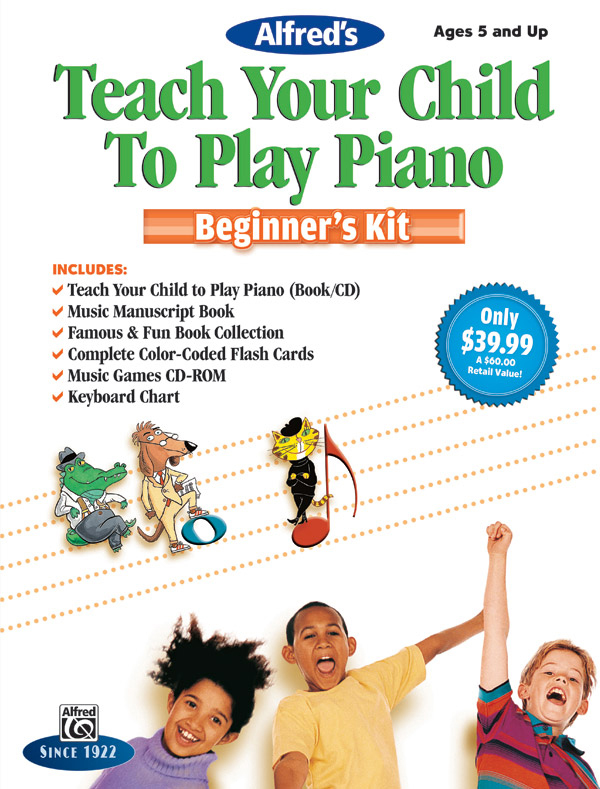 * The Music Games CD-ROM is the perfect way for aspiring musicians ages 7 & up to learn music theory! 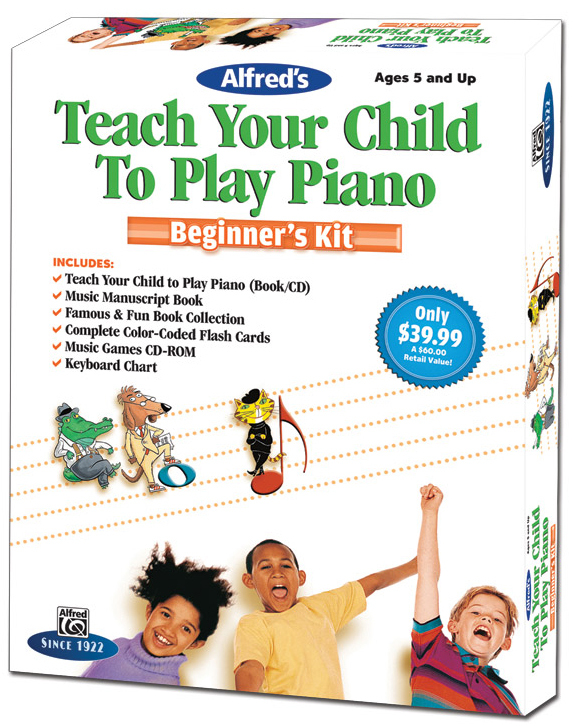 * Note names, rhythms, intervals, music terms and more are covered in an entertaining, interactive software environment. * For Windows and Macintosh. * The two-sided fold-out keyboard chart that represents the entire keyboard of the piano with each piano key named and its corresponding note on the grand staff for five octaves.